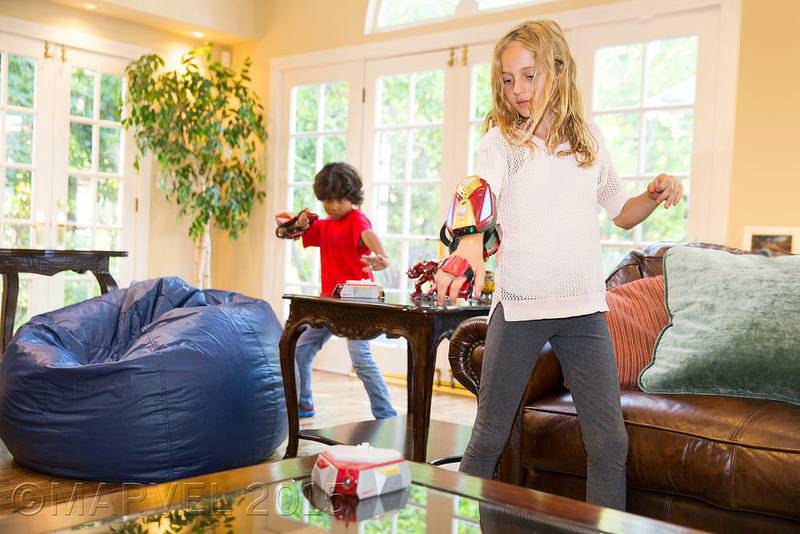 On Tuesday Disney announced Playmation, a next generation smart toy system that combines wearables, Bluetooth, cloud computing, and motion sensors wrapped up in its own universe. It mixes one part video games and one part physical play all under the guise of donning armor or attire of a child’s favorite hero or heroine. The core idea of this new toy platform is to bring a new way for kids to play out or reenact moments from their favorite movies. 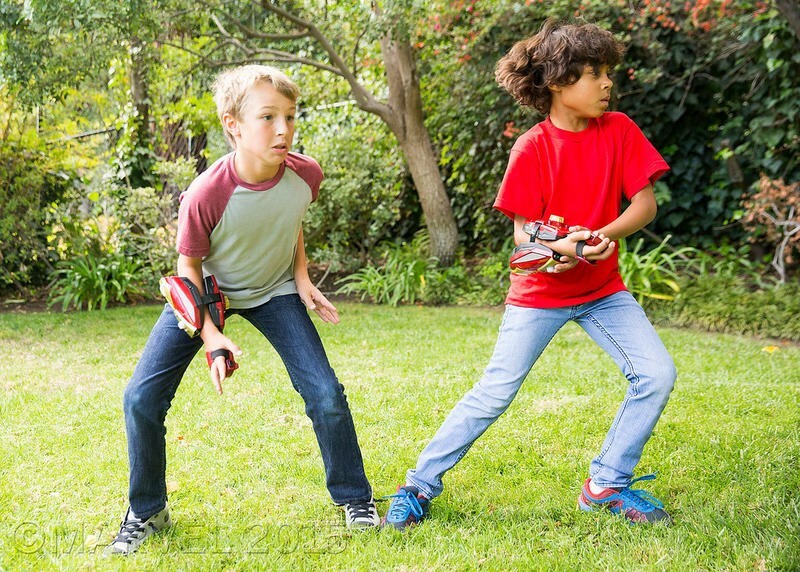 Disney Consumer Products president Leslie Ferraro adds, “Playmation takes the best the digital world has to offer and uses it to create supercharged, real world play. This is play updated for today’s kids – bringing their imaginations to life as they go on active adventures alongside their favorite characters.” What child doesn’t want to be the super hero (or villain) and play make-believe with their friends? Disney is looking to be on the forefront of the next generation of playtime toys that mixes technology and creativity. We’ve already been introduced to Disney Infinity, Nintendo’s amiibo, and even VR, like Hololens, that aims to update playtime to next generation tech. 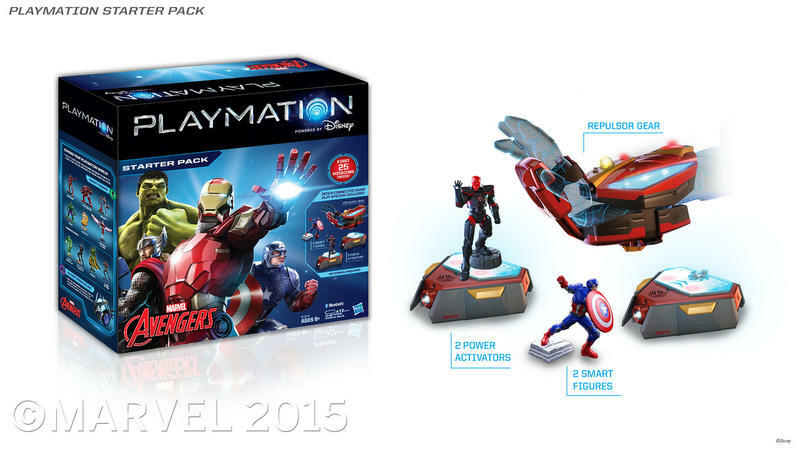 Marvel’s Avengers will kick off Playmation as the toy’s first series this fall for $119.99. The first start pack will include five connected toys one piece of Avenger Gear (Repulser), two Power Activators and two Smart Figures (Captain America and Iron Skull). Apparently the Repulsor Gear will fit adults too, just saying. To get started, just listen along to JARVIS to tell you what to do and you’re on your way. Other Marvel’s Avenger (Ultron, Loki, Black Widow, Falcon, etc.) toys and accessories will be sold separately. All your play activity is registered through the AvengersNet app where you check your progress, explore new maps and obtain new missions. Star Wars and Disney Frozen systems are already in the works and will be available in 2016 and 2017, respectively. What do you think? Is this the next generation of play? Will gameplay jump beyond the screen and into the environment around you? Connected toys and wearable technology come together to put kids at the center of the world’s greatest stories from Disney, Marvel and Star Wars. 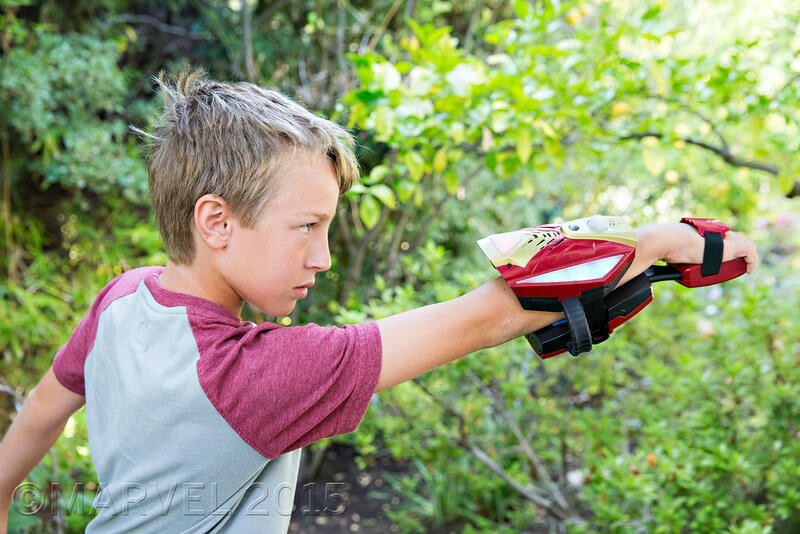 Glendale, Calif. (June 2, 2015) —Today, Disney Consumer Products (DCP) introduced the world to Playmation – the next step in the evolution of play, where digital gets physical and imagination becomes real. The groundbreaking system of toys and wearables uses smart technology to inspire kids to run around and use their imaginations, as they become the hero or heroine of stories from across The Walt Disney Company. 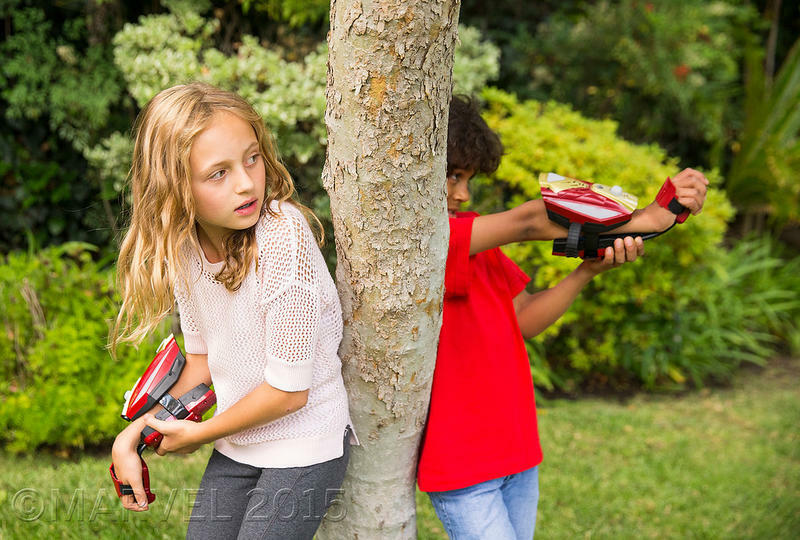 For more information, visit www.playmation.com. Disney Consumer Products (DCP) is the business segment of The Walt Disney Company (NYSE:DIS) that delivers innovative and engaging product experiences across thousands of categories from toys and apparel to books and fine art. As the world’s largest licensor, DCP inspires the imaginations of people around the world by bringing the magic of Disney into consumers’ homes with products they can enjoy year-round. DCP is comprised of three business units: Licensing, Publishing and Disney Store. The Licensing business is aligned around five strategic brand priorities: Disney Media, Classics & Entertainment, Disney & Pixar Animation Studios, Disney Princess & Disney Fairies, Lucasfilm and Marvel. Disney Publishing Worldwide (DPW) is the world’s largest publisher of children’s books, magazines, and apps, igniting imagination through storytelling in ever-inventive ways. DPW creates and publishes books, magazines, eBooks and apps both vertically in-house and through an extensive worldwide licensing structure. DPW is also committed to the educational development of children around the world through Disney Learning, which includes our flagship learning brand, Disney Imagicademy, as well as Disney English and other Disney-themed learning products. The Disney Store retail chain operates across North America, Europe and Japan with more than 350 stores worldwide and is known for providing consumers with high-quality, unique products. Disney Store operates ecommerce channels in nine countries, which can be found here. For more information, please visit Disney Consumer Products www.DisneyConsumerProducts.com. About Hasbro, Inc. Hasbro (NASDAQ: HAS) is a global company committed to Creating the World’s Best Play Experiences, by leveraging its beloved brands, including LITTLEST PET SHOP, MAGIC: THE GATHERING, MONOPOLY, MY LITTLE PONY, NERF, PLAY-DOH, TRANSFORMERS, and premier partner brands. From toys and games, television programming, motion pictures, digital gaming and a comprehensive lifestyle licensing program, Hasbro fulfills the fundamental need for play and connection for children and families around the world. The Company’s Hasbro Studios creates entertainment brand-driven storytelling across mediums, including television, film and more. Through the company’s commitment to corporate social responsibility, including philanthropy, Hasbro is helping to build a safe and sustainable world and to positively impact the lives of millions of children and families every year. Learn more at www.hasbro.com and follow us on Twitter (@Hasbro & @HasbroNews).